Imagine a place where one can not only taste and buy wine, but also study and learn about wine, meet winemakers and delve into the soul of the California, U.S. and global wine industry. Such a business does exist: PROTOCOL wine studio, located in a San Diego business park. 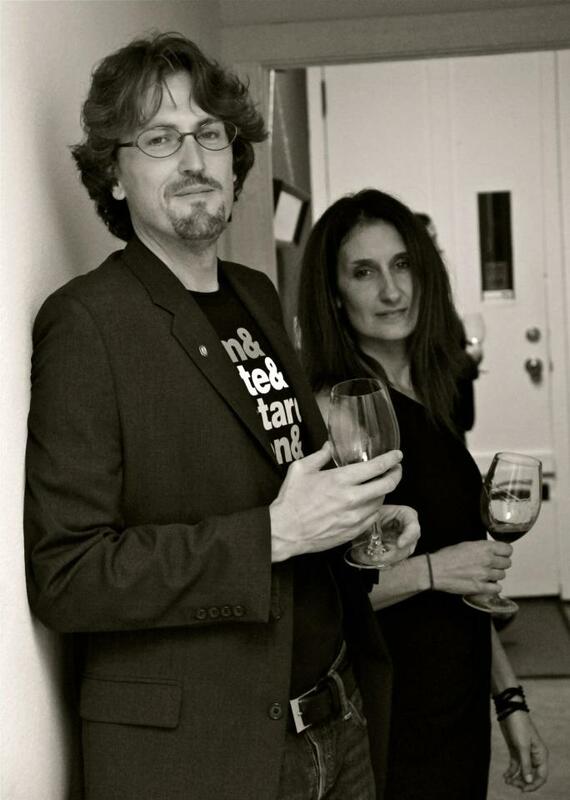 Calling itself “True Wine Culture,” PROTOCOL is the brainchild of business partners Eric Guy and Tina Morey, and operates as a parent company to four endeavors: #Winestudio Project, WineStudio, Wine Intel and Le Metro Wine. First, Le Metro Wine: Its owners call this “the world’s most cutting edge wine club,” which is led by a team of wine professionals, writers and artists. Each of the six-bottle wine collections focuses on a theme. He continues to write, contributing to Edible San Diego and Riviera San Diego, and writes his own blog, winedad.com, full of his adventures as a stay-at-home dad. Epstein’s big news, which I stumbled across visiting his blog, is that he, his wife and their son are moving to Shenzhen, China, at month’s end. “Big changes this way come; thanks to Wifey’s consulting gig, we’re preparing to embark on a yearlong family adventure,” he wrote. Alas, he will bid farewell to Le Metro Wine. But before he does, enter “Rosé on Midsummer’s Eve”, coming to San Diego’ Westgate Hotel from 6 to 8:30 p.m. Saturday, June 20, promoted by PROTOCOL and hosted by Le Metro Wine. The goal: Sipping rosé wines from around the world, and watching the sun set on one of the longest days of the year from San Diego’s most glamorous outdoor patio, The Westgate Hotel’s Riviera Fountain Terrace. A selection of Provençal-style charcuterie – cheeses, meat board, garden-fresh vegetables and potato bar — will be available for nibbling, while San Diego’s funk and soul 14-piece band “Bump N Brass” will entertain guests all night — wear your dancing shoes! Tickets are $55 for Le Metro subscribers, and $75 per person (through June 12) and then $89 the week of the event. I met Guy and Morey in late summer 2013 when I accompanied two Santa Barbara County winemakers down to PROTOCOL Wine Studio to attend a winetasting featuring a handful of small producers. The space itself resembles an artists’ studio slash gallery slash classroom, with a small office off the far end. No glamour; pure utility and function. Eric Guy: “Mine was a path with no heart. After 12 years in the banking and investment industry, I was well on my way to achieving everything I desired. And yet as I entered the decade of my 30s, I was completely miserable. “So I stepped out of the relative comfort of white-collar existence and dared to ask the question, “What if I gave up everything in the pursuit of something meaningful? And more importantly, what could that be? I’ve spent the last decade of my life pursuing that question by unrolling my passion for wine and all that lies beneath it from culture, to history from science to socializing. Since entering the wine business I’ve worked as a retail floor grunt, wine buyer, retail manager, wine storage coordinator and Sommelier. The adventure has been worth every minute. For me this is a business with heart, one that enables me to cultivate a life that I truly love. Guy leads the West Coast workings of PROTOCOL wine. “Wine was always at the family dinner table, especially the extended family. Even when I left home after college, wine was on someone else’s table and although I drank it and wonderful times were had, there was yet to be that wine “epiphany” everyone describes. So I went about my life: technical writer, pastry chef, caterer, wedding cake company chef and owner. “It was a last-minute reservation at The Herbfarm in Woodinville, Washington, that did it for me. We sat at a communal table, spoke and laughed with folks from all over the country, listened to a classical guitarist. “The highlight for me was the professionalism and ease that each and every staff member elicited. I wanted that confidence, that knowledge, that sense of complete trust of each member’s ability at any given time during the evening. The wine was part of the entire experience, but it fit so seamlessly it never stood out, but floated from course to course — a tightly choreographed play where guest was center stage. “That was 2005, so just two years later I sold the cake business and enrolled into the first Court of Master Sommeliers Education Program in the United States. There I had the opportunity to connect labels with actual winemakers and experience my first communal tasting glass experience with the other shop employees. During my time in the business, I’ve met the craziest and most sincere people I’ve ever known and I’m lucky to have called them colleagues and friends. Today, Morey spends most days nurturing PROTOCOL’s East Coast clientele. Both Guy and Morey are down to earth but full of knowledge and experiences about every aspect of wine, a fact that makes them a joy to be around. “Taste it, share it, live it!” is how they view their lives in wine, and I’d call that a most appropriate motto for the wine life. Wine Intel. Sounds intriguing, yes? Think of it as intelligent solutions to wine management, especially the financial aspects of collections, and answers to questions ranging from transportation to liquidation and more. In addition, Wine Intel offers sommelier skills, for events and overall education, as well as wine consulting, retail services development and wine-list creation. Finally, #WineStudio: This is PROTOCOL’s online Twitter-based program to “engage palates and brains.” It’s a combination of instruction and tasting, with a focus on producers, grape varietals, tourism, terroir, regional culture, food matching — and how this affects wine imbibers, say Guy and Morey. Earlier this year, Morey graciously included me during a month-long focus on select bloggers, asking each of us to share how we came to write about wine and winemaking. Those of you Tweeters know that the Twitter-sphere is rapid-fire quick and demands concise language (skills I was forced to relearn during the evening I participated in #WineStudio). I bemoan the fact that a lengthy drive separates me from PROTOCOL’s home base, but someday, I will return for a dose of wine education, or a special tasting. Quite the story. Eric leads an interesting life. All the events described intrigue.